Becky grew up in Bow, NH and spent most of her time out in the barn with her three horses. She had a love of animals right from the start. She worked at Pembroke Animal Hospital in 1998, left for school, and then returned in 2004. She has played many roles in the hospital, but is now enjoying her new role as hospital administrator. Her four legged family includes three cats, all rescues from the hospital. She is very busy these days chasing her daughter around and keeping up with life! 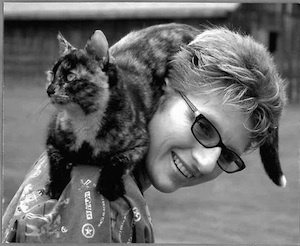 Jean Wyatt ("The Cat Whisperer") has worked in the animal industry for over 20 years, both as a technician in animal hospitals and operating her own farm. 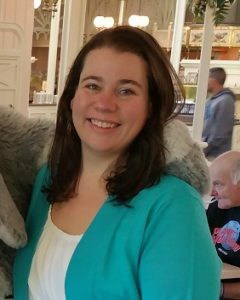 She has been with Pembroke Animal Hospital from the beginning as Dr. Julian's first full time technician when they opened on April 1st, 1997. She now fills in as a technician and works full time as office manager. She and her husband, Craig, still farm to a lesser degree and are the proud "parents" of 3 horses, 2 well-trained potbellied pigs, 2 sheep, many cats, one crazy pug dog and numerous barnyard fowl. In her "spare time" she performs on horseback with the NH Governor's Horse Guards and does Civil War reenacting with the 1st NH Volunteer Cavalry. Jean also volunteers her time rescuing and rehabilitating feral cats. Nydia has her accounting degree from Rivier College. She has been with Pembroke Animal Hospital since its planning stages - before the doors even opened! Today she continues to take care of its financial matters. 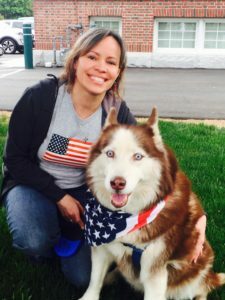 Nydia lives in Concord with her husband, Steve, and her dog, Luna. Hogan joined the Pembroke Animal Hospital team in the spring of 2008. He studied kittenhood at a local barn before moving in to the hospital. Hogan has a lot of jobs - official watch-cat, administrative assistant, all-around supervisor and kitty goodwill ambassador. 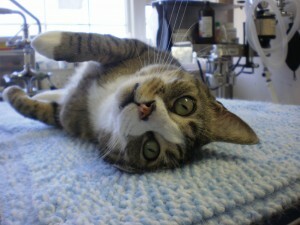 He loves to eat, sleep, and practice yoga in the sunshine, particularly on the dental table. In his spare time he enjoys supervising kittens and hunting.